Our services include Pre-Dinner Drinks reception, After dinner 4 piece, 5 piece or 6 piece band, and DJ. Weddings Bands. Choosing the right one is so important, but never an easy decision. Will they be professional? Will they be on time? Will they learn a first dance that YOU choose? What about song styles? Will they play songs to suit all ages? Our answer is Yes……. We are The Suite, pleased to meet you. 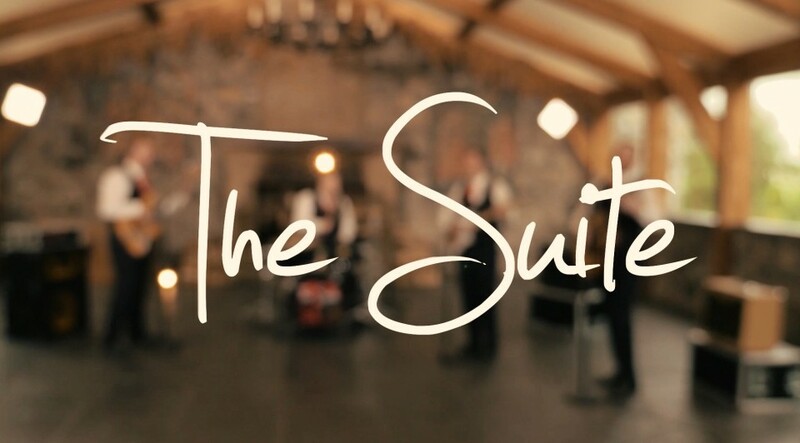 The Suite are an energetic , professional and experienced wedding band, combining effortless musicianship with 4 part vocal harmonies to add a unique sound to our extensive and varied set list. We pride ourselves on being the absolute best in wedding entertainment in the country. Our professionalism and drive mean that every aspect of your big nights celebrations will be exactly as you dreamed. Our song for everyone policy means that even the most left footed relative will have to get out on the floor at least once! Having gathered momentum over the last 8 years, The Suite have become one of the most sought after wedding bands in the country, not to mention featuring in Hot Press magazines’ “Wedding Bands to want” for the last 4 years in a row! * This is a FREE service, there are absolutely no fees, commissions, hidden charges or otherwise, and The Suite will respond directly to you. We respect your privacy, you are not signing up for a newsletter or spam, and your enquiry goes only to The Suite. The Suite is at Sheraton Athlone Hotel. We just wanted to say thank you to you and the band. The band played an excellent set on Friday night and definitely lived up to the standard which they set and demonstrate in their showcases. The band have been so professional and easy to deal with from beginning to end and you have always got back to us so quickly with any queries or concerns we have had. We will be spreading the word about how excellent the band have been. We had The Suite perform both the music for our arrival/reception drinks and our evening reception and they were fantastic (we also used their D.J). From dealing with Tina initially right through to the guys performance on the night I couldn't make a single complaint. They were professional and very talented and myself and my new husband would highly recommend them. Their energy & talent was unreal! The Suite played at our wedding in January 2017. Their energy and talent was unreal! They had the dance floor full the whole night and also managed to play our first dance song which was a bit of a random request... but they did it and did it to perfection. Tina, the bookings manager is also so lovely to deal with and was always so swift and pleasant answering all our questions. Could not recommend more!